We already had the chance to introduce the new DeanEasy system: now we will look more into the peculiarities and the idea at the base of this innovative product! One of the main peculiarities of the DeanEasy system is the tubular that works as inner chamber and that allows to maintain low pressures in the second chamber (the one between the tubular and the tyre). 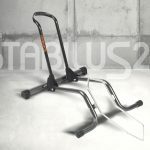 The tubular also has the function to protect the rim from possible impacts. Another peculiarity of the DeanEasy system is its simple set-up. If you want to verify the compatibility of your rim, you can visit deaneasy.it. In addition to an easy set-up, DeanEasy also stands out because it is simple to use: the final user, indeed, gets the impression of being using a rim and tube system. 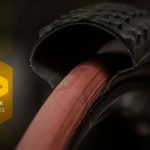 The tubular (which is not glued to the rim) is inflated from one valve to 6/8 atm, while the tubeless tyre is inflated from the second valve, to a pressure that varies upon the tyre and the rider weight. An advantage of the DeanEasy system, in comparison to traditional systems, is the possibility to use lower pressure (by 0,5/1 bar) in an easy and safe way. 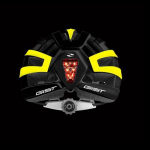 To sum up, DeanEasy makes things easier for bikers, because it can prevent flats, but it also has other advantages and useful peculiarities: this system, for example, allows you to ride with low tyre pressure without running the risk of burping your tyres, and it is also characterized by a great grip, which can make bikers have a new, amazing, riding experience. 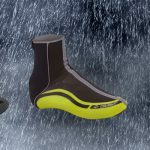 Moreover, DeanEasy makes riding easier also with bad weather; we might even claim that it is when there are mud or rain that this system is at its best: with Tube+, indeed, you can have a perfect grip also on wet rocks. Last, but not least, DeanEasy Tube+ is stands out for its high flexibility, thanks to the dual valve, which has been conceived to give you the chance to choose the wheel set-up that best suits your needs. In particular, the system gives you the possibility to choose the tubeless mode (removing the inner tubular) or to insert a traditional chamber.